George Sylvie studies innovation, change, and decision-making in newspapers. His internationally presented work focuses on newspaper editors' decision-making styles in the United States and Scandinavia, with plans to broaden the scope. His emphasis on front-line editors shows connections between personal value systems, ethics, and approaches to management. Sylvie also has researched other industry aspects, including online newspaper markets and profit influences, diversity administration and leadership, moral reasoning, the Black Press, diversity-influenced content, and reporting. Various newspapers, news services, magazines, radio programs, and Web sites have quoted him on topics ranging from multimedia curriculum to newspaper culture and ethics. Sylvie’s 2012 book, Newsroom Decision-Making: Under New Management (Media XXI), received an international awardfor its “significant contribution to the field of media management and economics.” He also co-authors a leading media management textbook, Media Management: A Casebook Approach, in its fifth edition by Taylor & Francis. 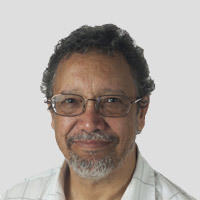 Lawrence Erlbaum Associates published Sylvie's 2002 work on the reluctant change of American newspapers in Time, Change, and the American Newspaper. He’s listed in Who's Who of World's Leading Experts in IDTV, Media Management and Economics and by Native Society. The Louisiana native, on the UT-Austin faculty since 1992, served as the journalism school's associate director from 2001-2006. He directed the UT ASNE High School Journalism Institute for high school advisors and in 2005 received the Friend of Journalism Award from the Texas Association of Journalism Educators for distinguished contributions and outstanding devotion to scholastic journalism education in Texas. In 2004, the Interscholastic League Press Conference of Texas also recognized his distinguished contributions and outstanding devotion to scholastic journalism education in Texas. He sits on the editorial boards of Journalism & Mass Communication Quarterly, The Journal of Media Economics, The International Journal on Media Management, and The Journal of Media Business Studies. Sylvie holds bachelor's and master's degrees in journalism from Louisiana State University in Shreveport, and the University of Missouri in Columbia, respectively, and earned a Ph.D. from the University of Texas at Austin. Previously a journalist and newsroom editor in Louisiana for several years, Sylvie won numerous awards for education reporting and public service. He teaches reporting, education reporting, and mass communication theory. Presentation; "Co-Existence of Professional and Amateur Web 2.0 Managers: Creating a New Media Ecosystem?" Article; "Values in Nordic Newspaper Editor Decision-Making"
Article; "Developing an Online Newspaper Business Model: Long Distance Meets the Long Tail"